Five Facts | Oh Sarah O ! I studied the German language for 7 years. I won a most beautiful baby contest when I was 2 years old. 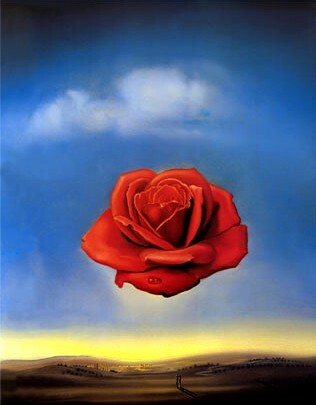 I have a tattoo on my back of a rose from Salvador Dali's painting Meditative Rose. I read (nearly) everything from cover to cover (books, newspapers, magazines, whatever. Even if I'm not that into it). The first celebrity I ever met was Eddie Cibrian. He was signing autographs at a nearby mall while he was on the soap opera The Young and the Restless.